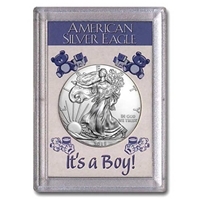 The American Eagle one-ounce silver coin was created by the Liberty Coin Act of 1986 as a silver "sibling” to the American Gold Eagle. 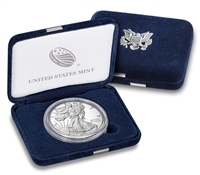 All of our uncertified Silver American Eagles are available in one Troy ounce of .999 fine silver with a face value of $1. 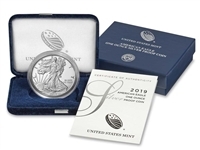 They make excellent gifts for collectors and people who are just getting started with precious metal investments.